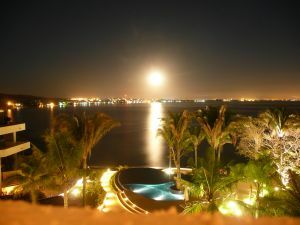 We recently visited friends who live in Bucerias, a small town just north of Puerto Vallarta. I did not do my usual pre-trip research to learn where we were going and what to expect so everything was a surprise to me. 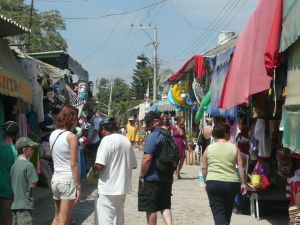 I was fore-armed with horror stories from friends who stayed in all-inclusives and ventured out into the local market once in two weeks and felt berated by the vendors so I was a bit apprehensive. However, what I learned in Mexico about selling made the trip far more interesting and rewarding than I had expected. What I found most enlightening was how enterprising the local merchants were. On our first walk through the market I was overwhelmed by the constant offers and deals being directed at me, but as soon as my hosts taught me the two magic words, “no gracias”, I was able to relax. 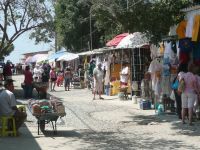 The merchants, time-share salesman and street vendors were polite and backed down as soon as I used the magic words. In the first few days of visiting small towns I thought this was unique behavior towards tourists, but I learned when we visited a more remote town called San Sebastien, that this was actually a sales technique that was used among locals too and that I was not a “target” as I had thought originally. 1) Everyone is a prospect. Regardless of the type of stall I walked by the vendor would assume I was either in the market for a gift or something for myself and did not try to profile me. 2) Product knowledge is important. Wherever we went we asked many questions about various products and most of the time the vendor knew where it was manufactured, what it was made of and even offered helpful suggestions. 3) Offer superior customer service. Whenever I picked up a fragile item I was always wondering how I would get it home and invariably the vendor would be at my side offering to bubble wrap the item to protect it. They always removed my number one objection first. 4) Get them in the door. With dozens of choices we found ourselves walking by most of the stores as we were concerned about being cornered by a pushy vendor. Instead what we found was when a vendor invited us to look around we were able to shop without any interference and were left to browse on our own. These vendors know that there will be no sale if someone walks by so why not invite us in and increase the probability of a sale. 5) Ask the customer what they want and turn it into a need. If we walked into a jewelry store we were usually asked who the item was for and if it was for a gift they would offer age-appropriate designs. Almost without fail the jewelers would slip the ring, bracelet or necklace on my wife and use the “puppy dog close” making you fall in love with the item. 6) Up-sell. Once you have the first sale keep the momentum going and offer the matching earrings, bowls or whatever. It worked on us. 7) Accept that not every prospect will turn into a sale. About 90% of the time the salesman would be gracious about losing the sale and we walked out of the store, away from the stall or asked the beach vendor to leave and they did so knowing that their business was numbers game. The more people they got in front of the more likely they were to make a sale. The other 10% were ungrateful for the time we had spent with them and either stormed away or reverted to deep discounts. These vendors always ruined it for the others, but they were in the minority. 8) Have fun selling. I know this may not work in your sales arena, but one of the best lines from a jewelry vendor on the beach was “do you want to buy some junk”. It made us laugh and most times when we heard a creative opening line we were set at ease and looked at their “junk”. One beach vendor anticipated we were going to say “not today, maybe tomorrow” and started off by saying “I know not today, maybe tomorrow, but this jewelry is from yesterday so today is tomorrow”. We bought something.